Cowboy gear, saddle silver, scarf slides, and western jewelry that is hand engraved and customized for the cowboy and western lifestyle. Lee Raine Photos are offered for sale on the link below. Marye lives and maintains her studio on a horse ranch in remote Antelope Valley in Coleville, eastern California. Living and Working in the eastern Sierra for most of her life, has given the artist an intimate vision of the packing, outfitting, and livestock ranching traditions, as well as the people, scenery and culture of this beautiful, wild side of California. This region provides the inspiration and subjects of her representational watercolor style. Marye uses colorful glazes to make her landscape glow. 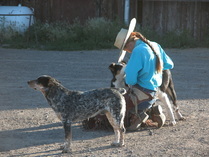 Her cowboy subjects show the strong light of clear air in high elevations and are people she knows well. Marye is married to rancher and outfitter Lou Roeser. Lou’s photographs, mostly shot in the Eastern Sierra that he knows so well, record the western life style that is an important part of its unique culture. 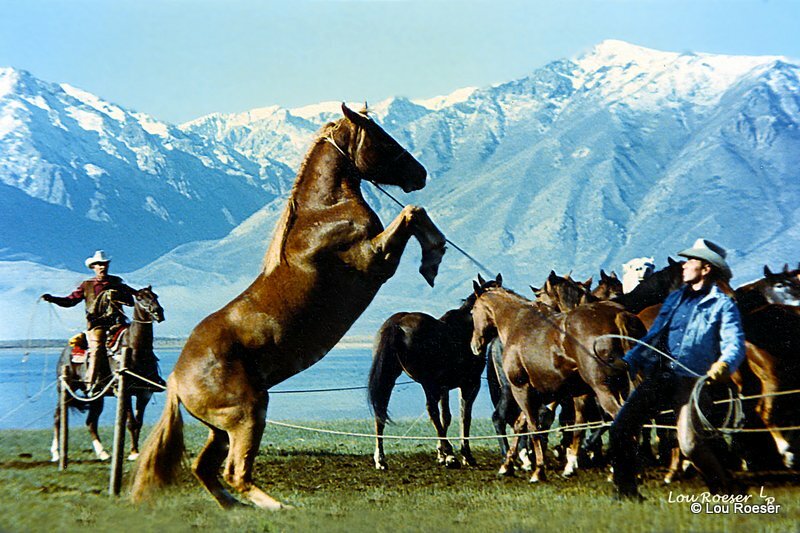 These photos include scenes of ranch life, mule packing, spring and fall Horse Drives, cattle ranching, winter sleigh rides, a beautiful wilderness of mountains and desert as well as the many commercial films. Through his lens, he continues to capture the folks who live and work in this setting as well as the horses and mules that are a part of their work. Award-winning RANGE magazine, published quarterly, is devoted to issues that threaten the West, its people, lifestyles, lands and wildlife. RANGE has subscribers in every state and several foreign countries, and is an advocate for a national resource—the American cowboy. See the Winter 2011 issue of Range for the definitive special report on Mustangs.